As all good Coaches will tell you, reviewing where you’ve been, helps you to see where you are going! It also feels good to learn from the bits that went wonky and note what went well and give yourself a pat on the back for it. I started by reviewing 2017 with my Instagram Best Nine! I wanted to share with you some of my highs and lows (to prove that I am still learning too!). It might inspire you to do the same. 1. My work is emotionally and energetically intense (learning how to protect that and focusing my energy on what matters / where it is needed the most). 5. Knowing I am ending the year having cleared so much personal sh1te – I can’t even put it into words. It feels great though. If you want to take an awesome review of your year, you can download one here. You could also make that a New Year review on steroids and book a call with me. You’d get some Smiley insights into things perhaps you hadn’t noticed about yourself and your life (we tend to be hyper critical and less forgiving of ourselves) and ways to improve your world. Do you have any wishes, aspirations or changes you want to make? Feeling like a stuck record where nobody listens to you, that’s a sign you need to hone your listening skills would you believe? My one question is: Does it feel good? If it isn’t fun and it doesn’t feel good to me, then I’m not going to do it. This means that any goals I set myself or any projects I want to achieve will be feelings based. If they are based on what feels right for me, then they will be aligned with my values and I will have more of a chance of succeeding. Do you have one word or one question? Share it with me here. I’d love to know. Write it down and stick it up somewhere you can see it. On the fridge, bathroom mirror or set it as a reminder on your phone so that every day you can live your life by it. ⭐ PLUS a copy of my new eBook ‘Rediscover the Magic of Parenting in a Busy World’ with 2 bonus videos (worth £20). 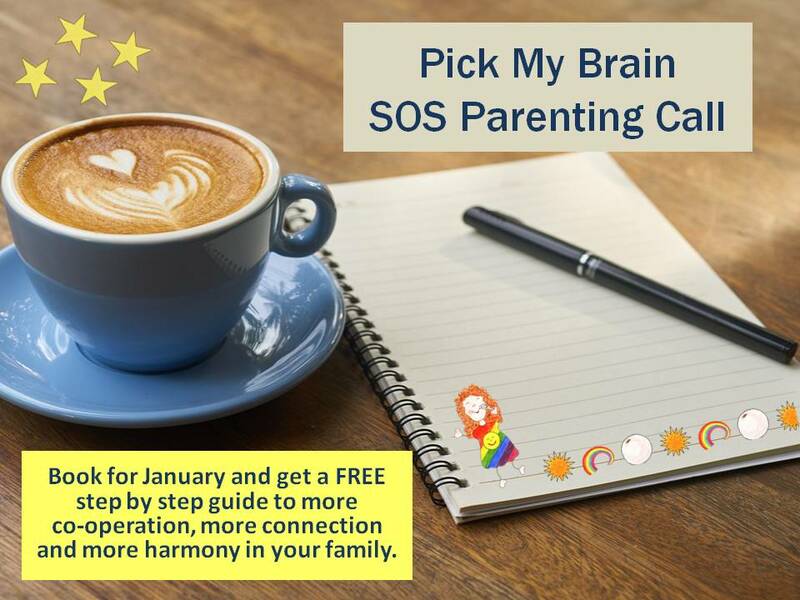 It is broken down into 30 days of mini tasks so you can strengthen your connection with your child in baby steps / one day at a time thing. Imagine how you will feel at the end of the month: less stressed, calmer or maybe more in control and focused? Wishing you a very happy and healthy New Year. My word is energy for this year. Friday I’m starting my vision board to go with it. That is a powerful word. Energy is everything for me Karen. Happy New Year to you!